A DIVA COMES HOME: She told you she'd be back! Less than three months after her surprising but amicable split with the RJR Group, Khadine 'Miss Kitty' Hylton will return to the Jamaican airwaves on Jul 1, when she officially takes up her new gig at Nationwide Radio, where, as it happens, she used to work prior to joining the RJR family. 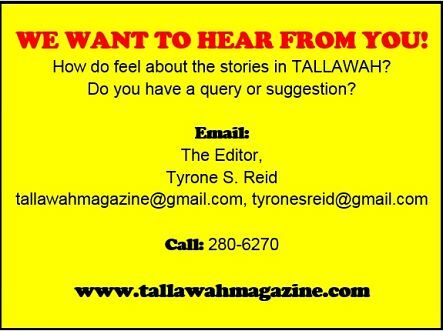 TALLAWAH readers will ne double be hearing lots more from the vivacious diva as the big day draws closer. CARIBBEAN GIANTS: Each year the University of the West Indies (UWI) recognizes the outstanding work and notable achievements of stalwarts from across the region by presenting them with honorary degrees. 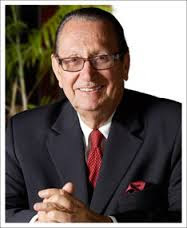 As was recently announced, this year's batch of honorees will include businessman R. Danny Williams (pictured above), Professor Emeritus Barry Higman, Dr. Janet Rolle, Valerie Facey, who will receive the Doctor of Letters, and musicologist Noel Dexter, set to be conferred with an honorary Doctor of Laws.